Even though it is still quite cold, in fact yesterday was only about 5 deg.C (today was warmer with the sunshine), there are signs of new life in the allotment. 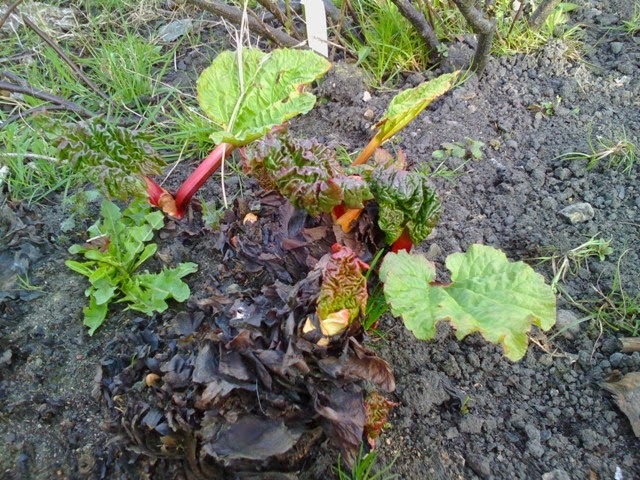 Rhubarb - this rhubarb originally came from a root split from my mum's rhubarb, she lives within the Yorkshire "Rhubarb Triangle", so it's good stuff! These are the onions and garlic overwintered from plantings in September 2014. This means that there are onions from mid June ready to harvest. Garlic is easy, to begin, buy a clove of garlic from a supermarket or greengrocer.. Plant in September and leave overwinter. Some shoots will grow below the end of the year anyway. When picking in July, save the biggest one for splitting in to cloves and planting again in September. Over time it becomes adapted to the soil and selecting for the biggest ensures a good crop every year. 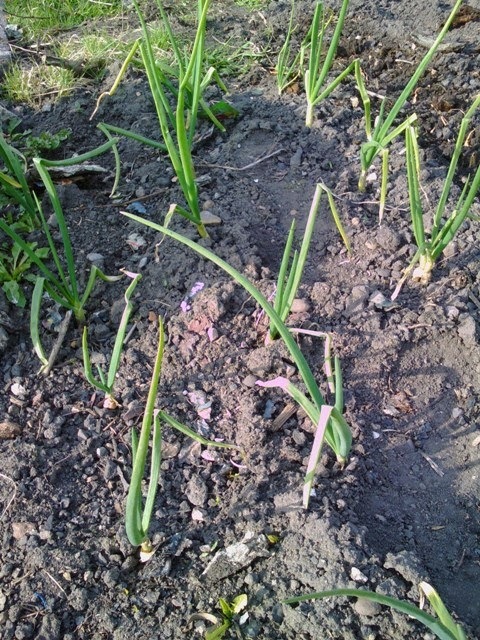 The onions are the "Japanese" kind which are winter hardy. 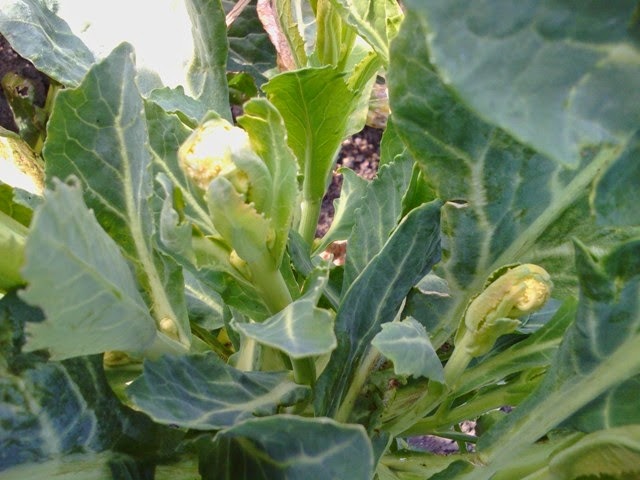 Sprouting broccoli. Takes nearly a year to get to this stage but if you like broccoli, is pretty prolific if you keep cutting the heads regularly. 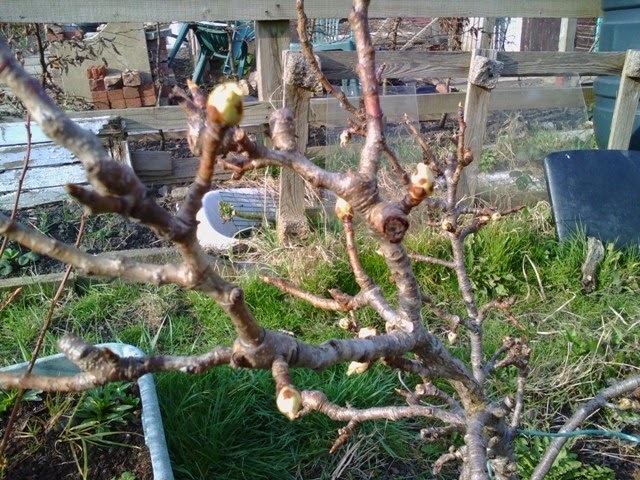 Shoots on the pear tree. These are minarette type, one of the trees is Comice, the other Conference. The Comice last year was the most prolific.